A New Day, A New Year, A New Beginning! 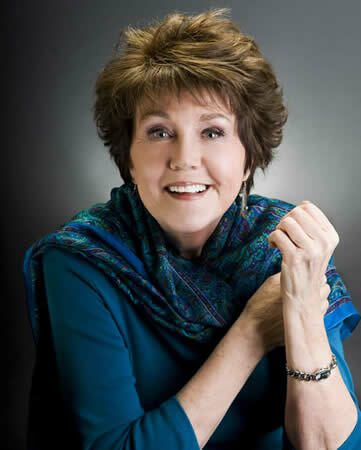 I am Betty Hill Crowson; writer/author, holistic life coach, spiritual retreat director, and motivational speaker/trainer. Please scroll to see available services and take time to visit all of my pages. I present several week-end retreats for women and for couples who are seeking increased self-awareness, deeper spirituality, and greater well-being. 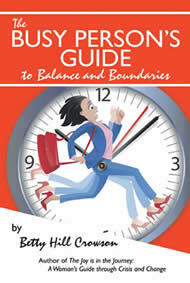 The Busy Person's Guide to Balance and Boundaries! 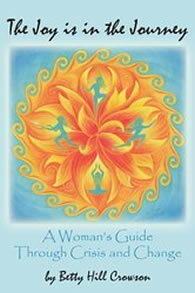 An inspired, pragmatic, and spiritual guide for recovering balance, improving relationships, and achieving greater joy! Seven "Solutions" for moving through life's many and varied transitions! As an holistic life coach, I help men and women clarify their goals, identify their priorities and values, and make the changes necessary to bring harmony, balance, and fulfillment into their lives. This hands-on, how-to book is designed to help women of all ages and stages successfully maneuver through the challenges and complexities of life's crises and changes. As a keynote speaker and presenter, I offer workshops/presentations to groups and organizations at conferences, corporations, events, and meetings. Have a personal life coach at an affordable group rate! Convenient, and oh-so-simple. It only requires a phone call. Sign up now! See what women say about these teleclasses!